“…have happy, confident children who become lifelong learners”. After the initial consultation, Pentagon Play's Sales Director, Paul Bayliss, drew up a plan with the school to see how we can contribute to their fantastic goals. It was a large project to take on, nevertheless we couldn’t be happier with the outcome. 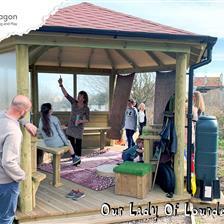 Our main objective was to deliver fun, adventurous and curriculum focused outdoor play areas, which facilitate learning and discovery. We installed our popular Water Wall feature for the children at Cams Lane Primary School, an exciting and entertaining apparatus explicitly designed to encourage the development of several lifelong skills required for adulthood. Children can progress problem-solving skills, whilst working as part of a team, it also has the added benefit of developing social skills and communication skills too. Diverse materials and their properties. But most importantly it is exciting and so much fun! 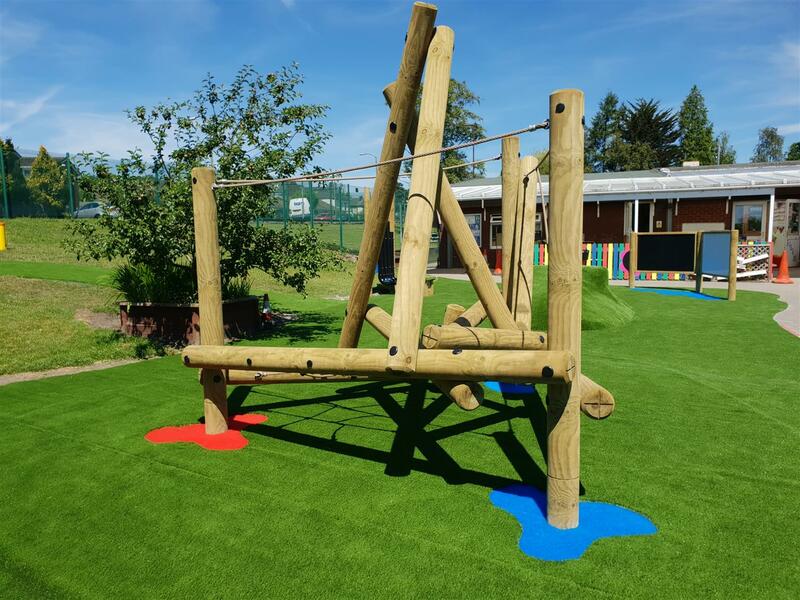 All of the above kit was fitted with the goal of advancing sensory skills, whilst also encouraging critical thinking, teamwork and problem-solving skills in an adventurous environment. 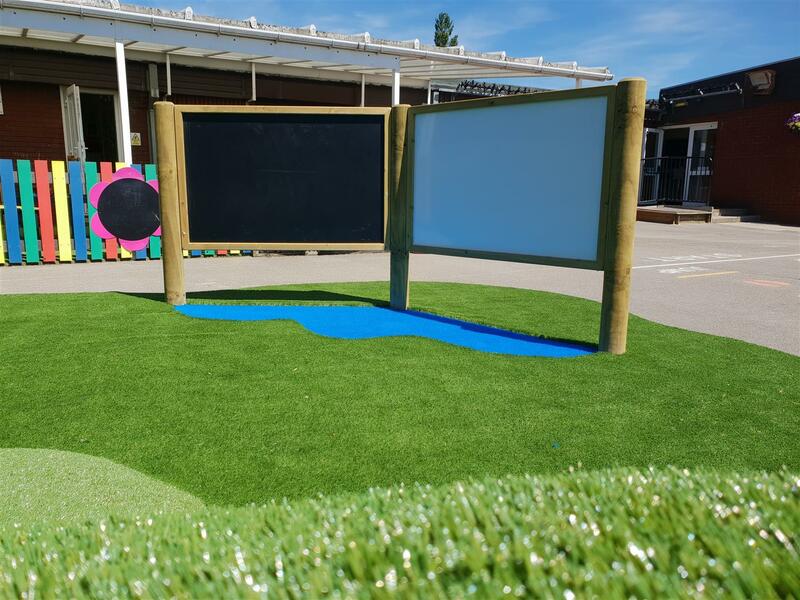 This eye catching and aesthetically pleasing zone in Cams Lane Primary School, mounted on deluxe artificial grass promotes active play. 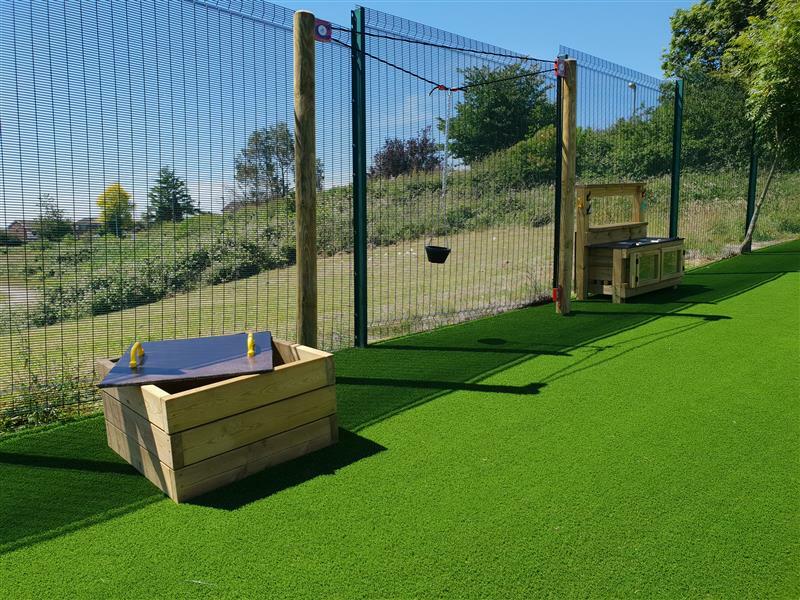 The school playground equipment has been designed and fitted to encourage children to become fit and healthy, whilst simultaneously building their motor skills, co-ordination and balance and in turn enhancing muscle strength. 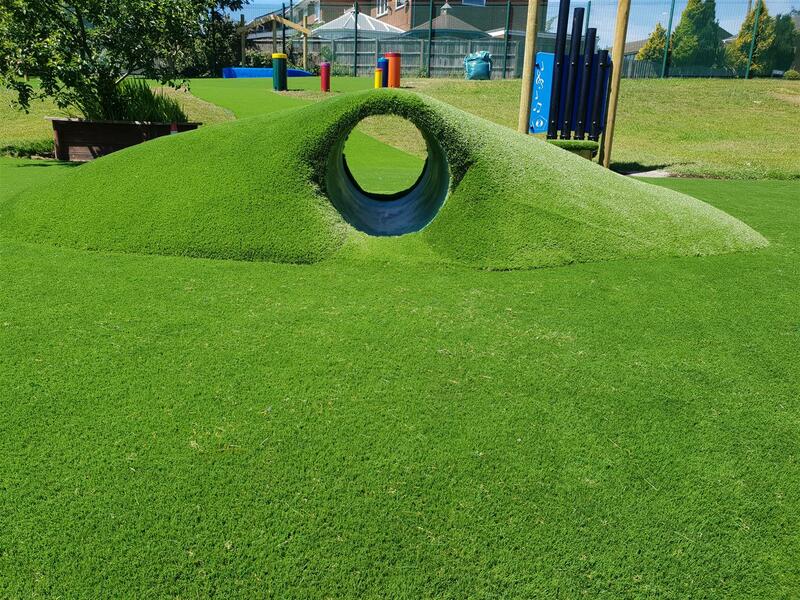 Occasionally, it is tough to explain just how stunning the transformation we made to a playground in words, here are some pictures so you judge for yourselves. We know Cams Lane Primary School were thrilled with the results and we feel confident you will be too! You can view our full range of mark making products here. We created a vibrant green, all-weather Multi Use Games Area intended for sports and activities (MUGA) with its own pathway. Cams Lane Primary School can benefit from an elected zone intended for ball games, whilst also serving as a great resource for P.E lessons. We produced this area with deluxe artificial grass which can be utilised all year round, without the need to reschedule football matches and outdoor P.E lessons because of the unpredictable British weather. 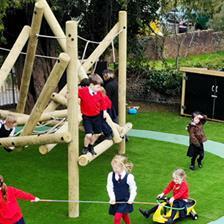 As a bonus it’s fast drying when compared to natural grass, so it won’t create muddy footprints and puddles! 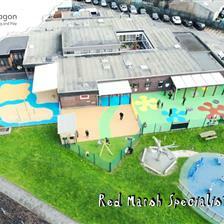 Our Multi Use Games Areas are designed and installed exactly to your requirements. You can also visit our Sports Premium Page to discover new and effective ways to use your Sports Premium Funding for projects similar to this Multi Use Games Area. 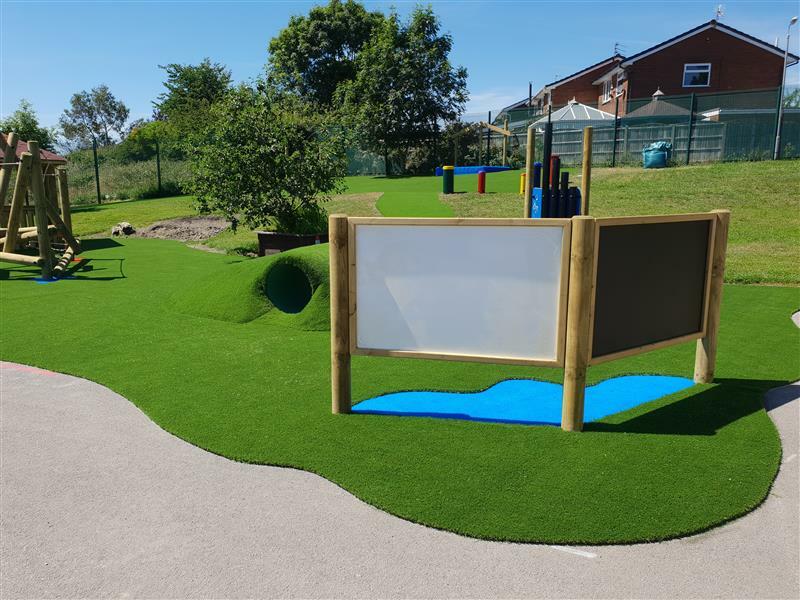 If you would like to see how we can help you create a school playground environment that is fun, adventurous and suited for children’s educational needs, please Contact Us for a free consultation and expert advice.